1.Create some black areas, surrounded with cells which are linked to a continuous loop. 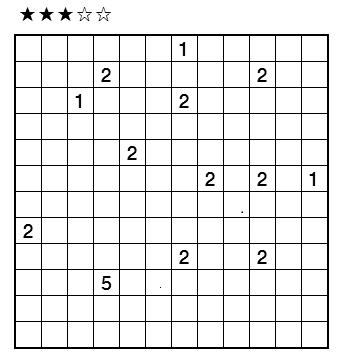 2.The numbers in the grid indicate the size of the corresponding black areas. 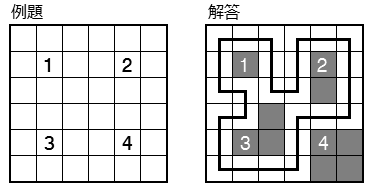 4.Black areas may touch each other only diagonally. This puzzles is from akil oyunlari magazine competition. I changed style because of rule description.